Hey everyone, welcome back to my sports and fitness blog. I have a more informative post that normal for you today, as I just spent the past hour combing the minutes from this years NFL owners meeting. For those who don’t know, the NFL owners meeting is an annual meeting of NFL owners in which they vote on rule changes, uniform alterations and even relocations. I wanted to spend today talking about one of those things today; rule changes. This year there was a good amount of rule changes so I thought I would give a brief overview of them. The rule that was added this week was the leaping penalty, which prohibits players from leaping over the line of scrimmage to block a kick. This puts the leaping player in danger and although it makes for an exciting play, it is not something that will be missed much. 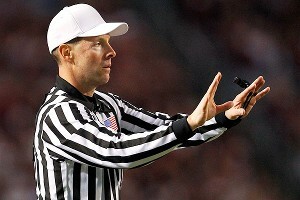 A rule change that resulted from the play of certain teams last year was a new intentional fouls rule. This gives teams a 15 yard penalty and the game clock will be restored if teams commit multiple personal fouls on one play. This is to stop teams from trading a small foul for the chance to unfairly stop all players on the other team from having a chance to score, and is a great idea in my opinion. The biggest change was centralized replay. Until now, the head official would look underneath the hood and watch a replay on a high definition screen to decide the outcome of a challenge from either the officials or the coaches. Now, all decisions will be made by the head office in New York. Another good idea, and one that is used in most major leagues. Those are some of the biggest rule changes that will take place next season, and if you want to read about them all check out what the NFL has to say about it. See you later.